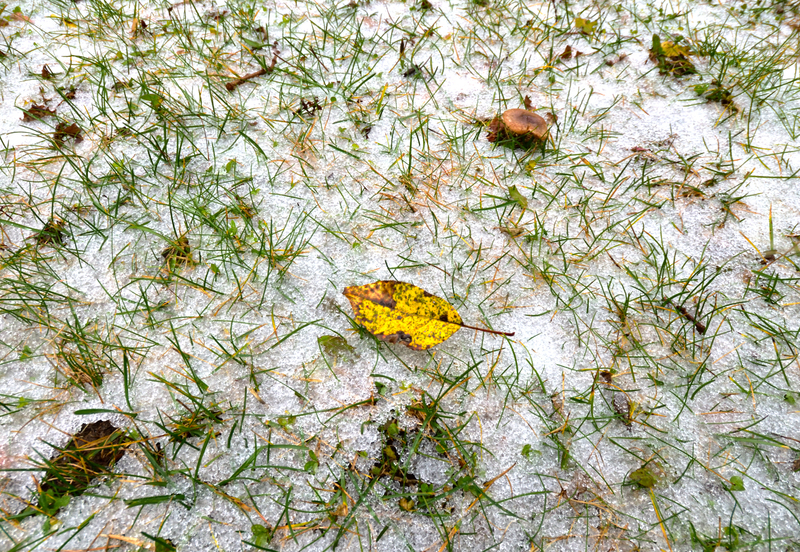 The effects of Ice coverage can cause varying degrees of lawn damage depending on the severity of the ice coverage, the length of exposure, and the hardiness of the turfgrass species effected. Where snow coverage is generally considered desirable with the exception of the increased risk for snow mold disease, ice coverage on the other hand is more of a concern and is undesirable, often causing more severe damage that requires renovation practices to speed up recovery. The formation of ice coverage can take place from a number of different factors, including; freezing rain and rain, poorly drained soil and areas where standing water settles and freezes, and the natural melting of snow and refreezing as ice. The critical duration of ice coverage before plant death starts to occur is usually somewhere between 30 – 120 days depending on the turfgrass species. Creeping Bentgrass and Kentucky Bluegrass both have excellent winter hardiness making them less susceptible to winter kill related issues. Fine fescue and perennial ryegrass have poor winter hardiness and are far more susceptible to ice damage and other winter kill causes. Long durations of ice coverage significantly increase the chances for severe turf damage, regardless of the turf species. Plant death occurs as a result of ice coverage by the following reasons; carbon dioxide gas builds up and becomes toxic when it is trapped under the ice, crown hydration takes place when freezing and thawing occurs and plant cells rupture resulting in death, and the plants hardiness is weakened and reduces its susceptibility to resist damage. The extent of the turf damage is first visible when the snow and ice melt away, and in many cases this damage may be isolated to only certain areas of the lawn. Usually, the damage can be found in the lower lying spots and also in the shaded areas where the ice coverage persisted the longest. If complete death has occurred, an aggressive combination of renovation practices such as slitseeding, topdressing, and core aeration will help repair these areas. 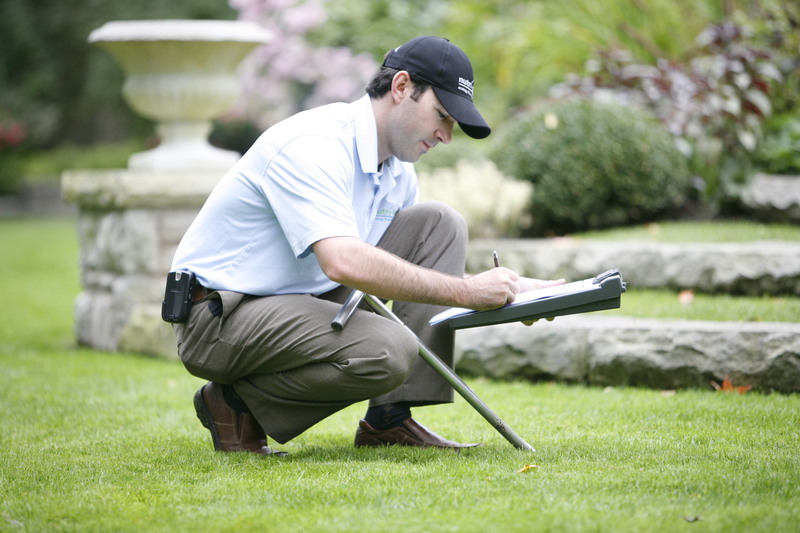 If the damage is sparse and only appears minor, the lawn can usually recover on its own or a light seeding can help speed the recovery up. Click below to download our free winter eBook, which outlines all of these common winter issues and how you can address them. 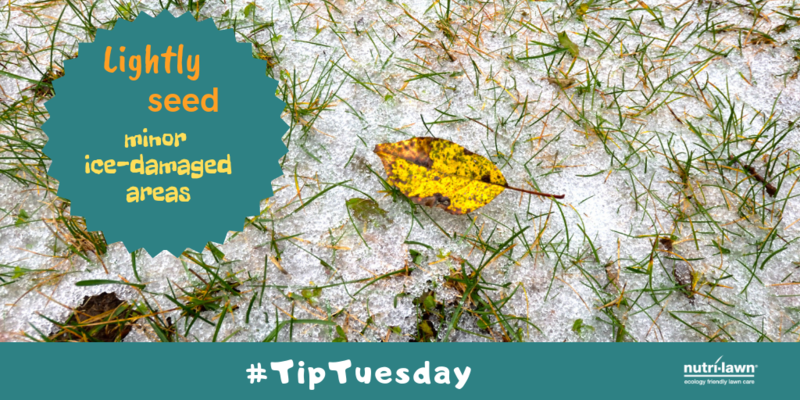 For more winter lawn care tips, follow us on Facebook for a new update every week.